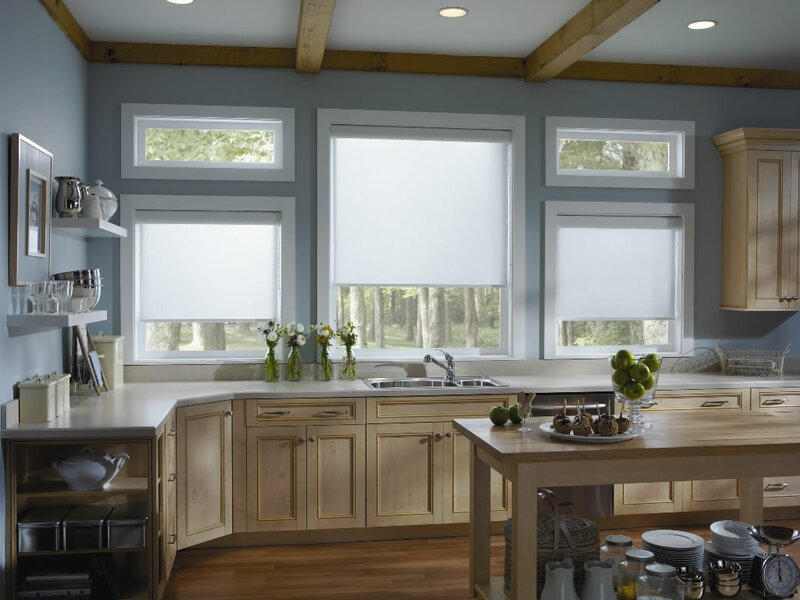 The classic simplicity of roller shades has led to their status as a perennial favorite among San Antonio window coverings. 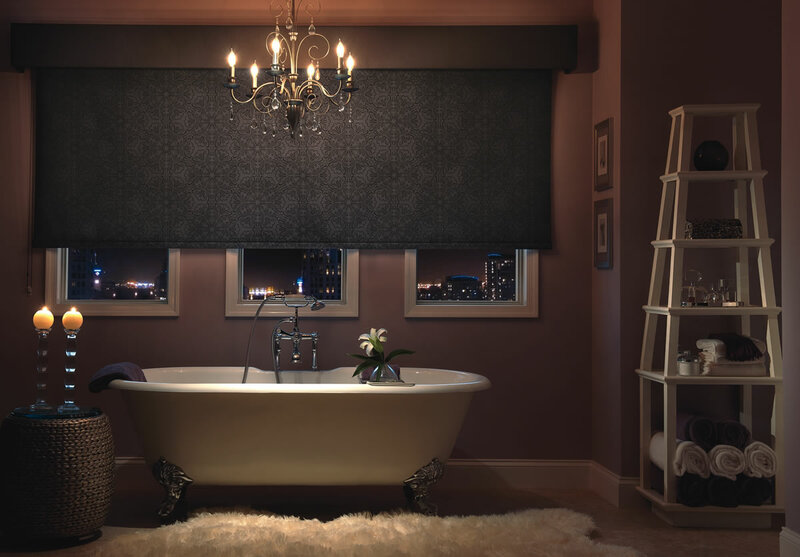 This is not your Grandmother’s Roller Shade! 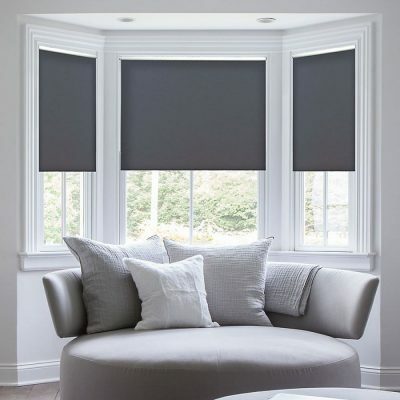 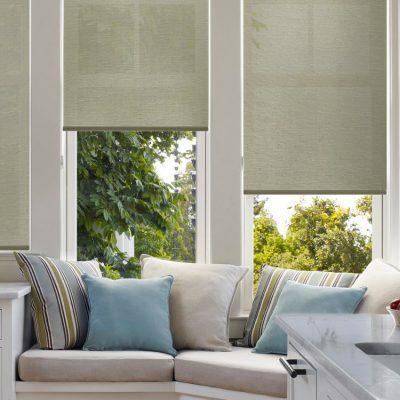 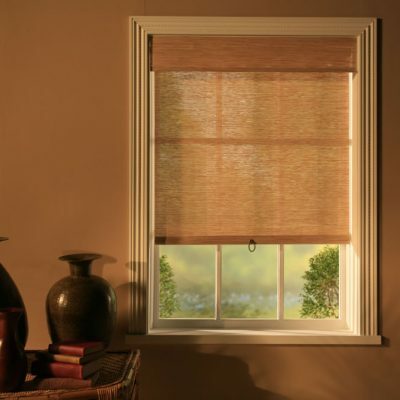 This classic American shade has been updated with new fashion fabrics, streamlined roller mechanisms, designer hems, specialized sun control products, and decorative accents. 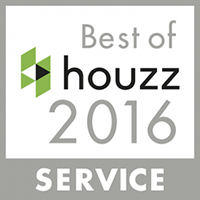 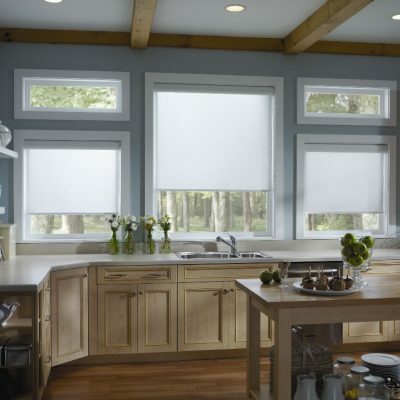 Solar Sun Screens have become one of the top window covering choices and the trend looks to stay strong. 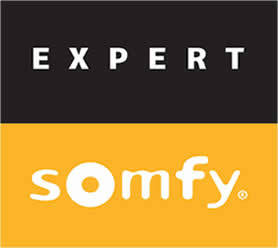 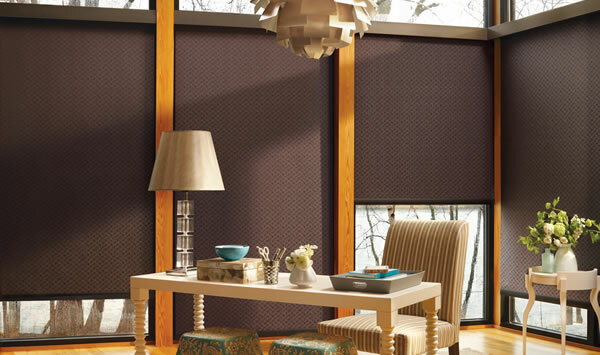 Motorization products from Somfy and Hunter Douglas make this product more accessible for those hard to reach windows. 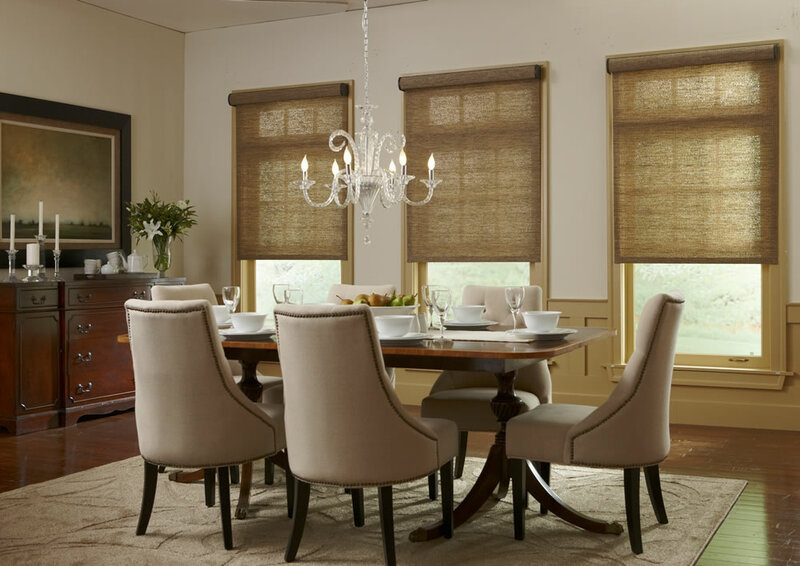 Our San Antonio Hunter Douglas Designer Screen Shades offer various degrees of openness, ranging from, 14%, 10%, 5%, 3% and some materials are available in the Mermet style, leaving a cleaner, smoother look in your window. 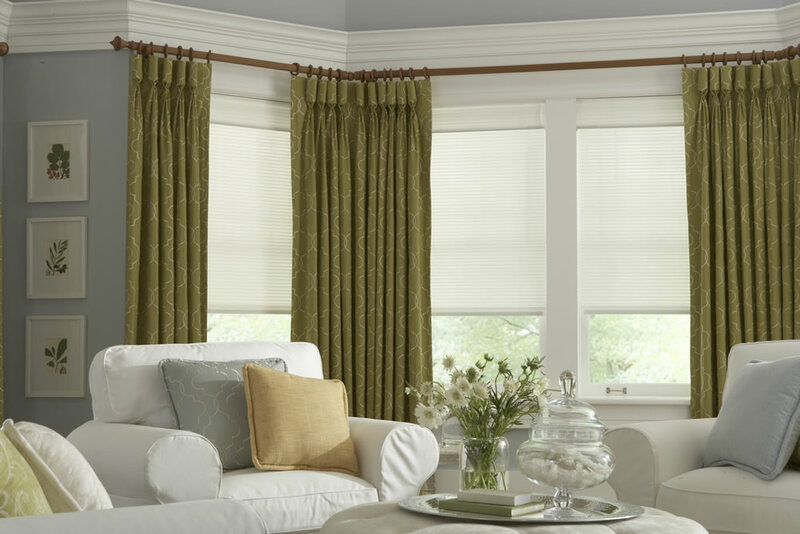 Whether you’re seeking the drama and fashion appeal of fine a fabric roller shade, or the rich texture of woven wood roller shades, you’ll find a budget-wise, easy-care solution for your San Antonio home with our roller shades. 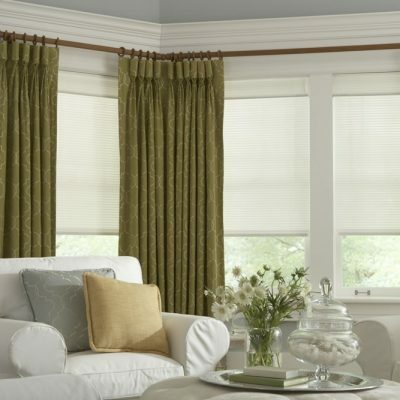 If your decorating a bedroom, bathroom, family room or sun porch, our roller shades have a style that’s just right for you. 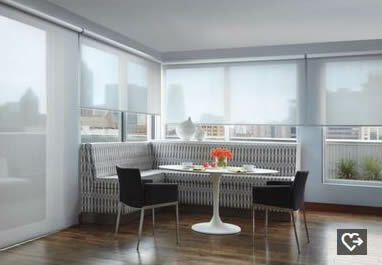 Available in a wide selection of Phifer sheer weaves, Hunter Douglas decorative fabrics, vinyl and mylar, Mermet roller shades, E screen roller shades, 3% roller shades, 5% roller shades, or 10% roller shades, our roller shade styles will increase energy efficiency and help protect your furnishings from harmful rays of sunlight. 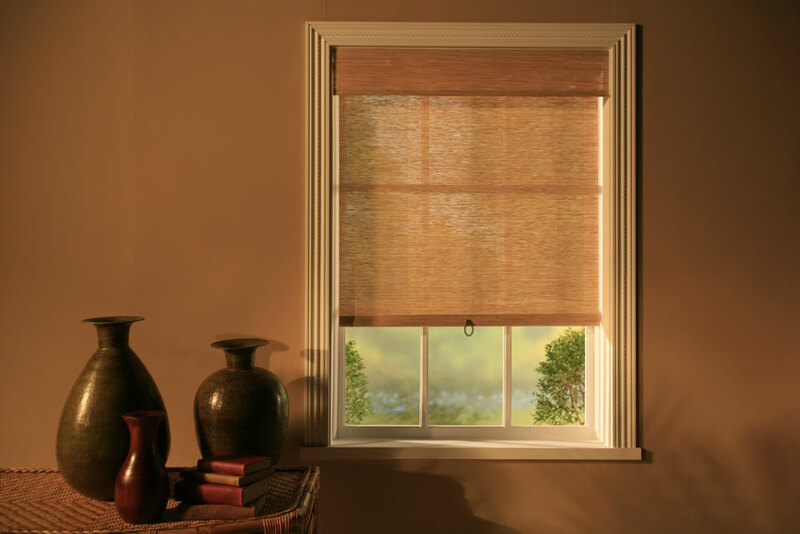 With a modern clutch system, the shades will raise and lower without losing any tension for years to come. 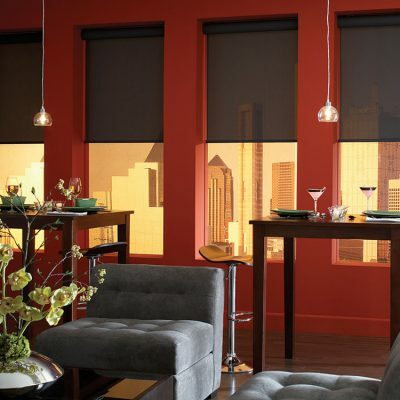 All shades are mounted on a heavy-duty metal roller that will not warp and have a crisp finished hem for a tailored look. 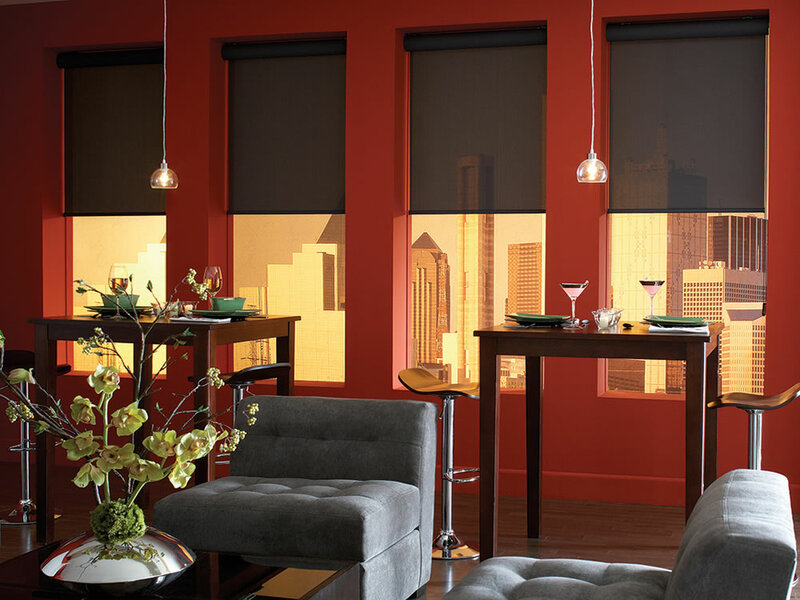 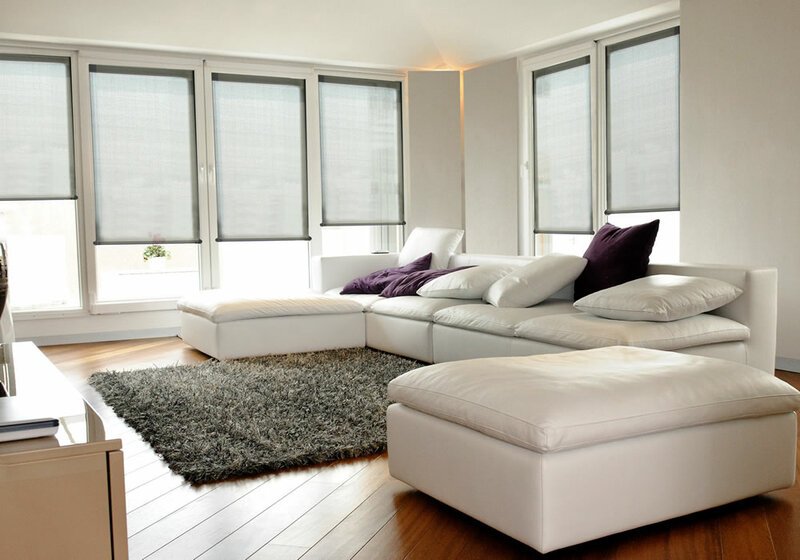 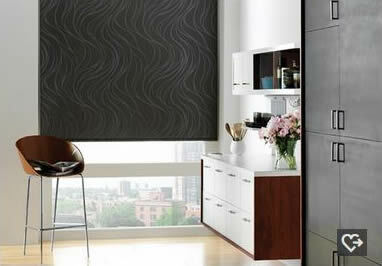 Our roller shades are bound to have a fabric that everyone in your home will love. 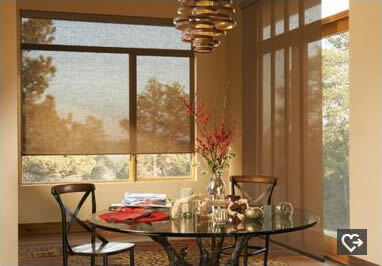 San Antonio roller shades are an affordable solution whether you’re re-doing one window or a whole home. 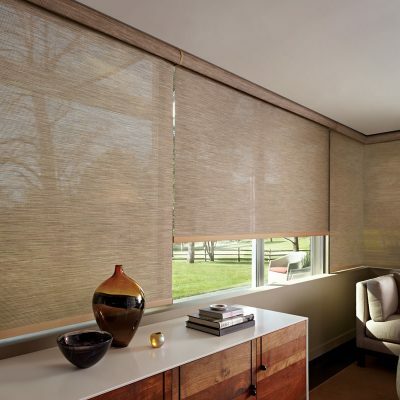 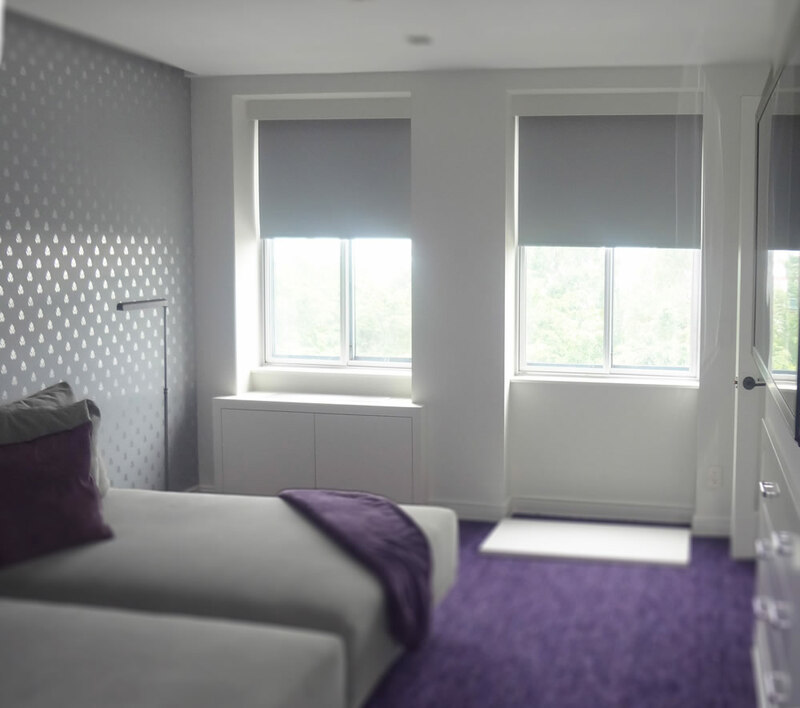 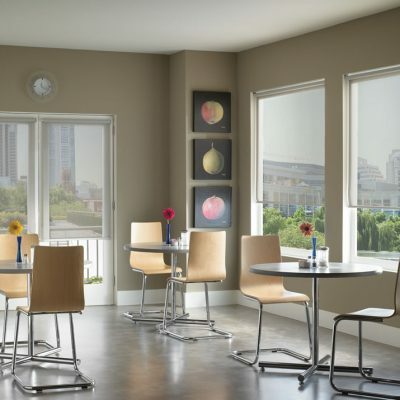 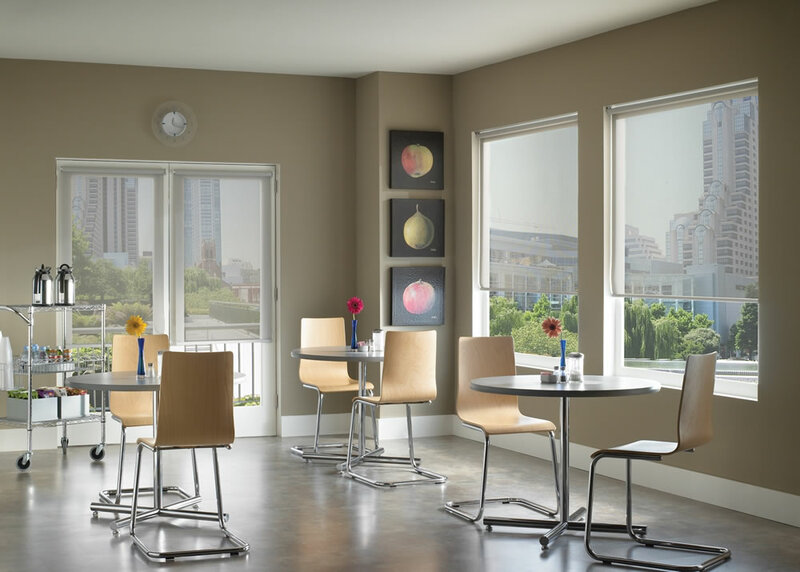 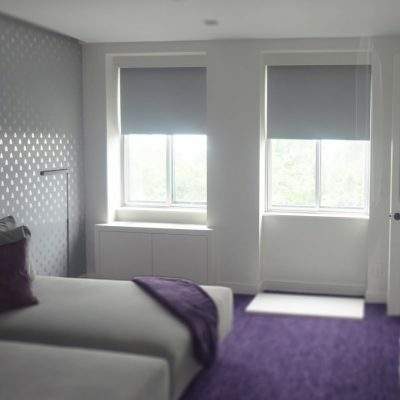 For excellent UV protection while maintaining your view of the outdoors, our Houston Designer Screen Shades are available in varying levels of opacity. 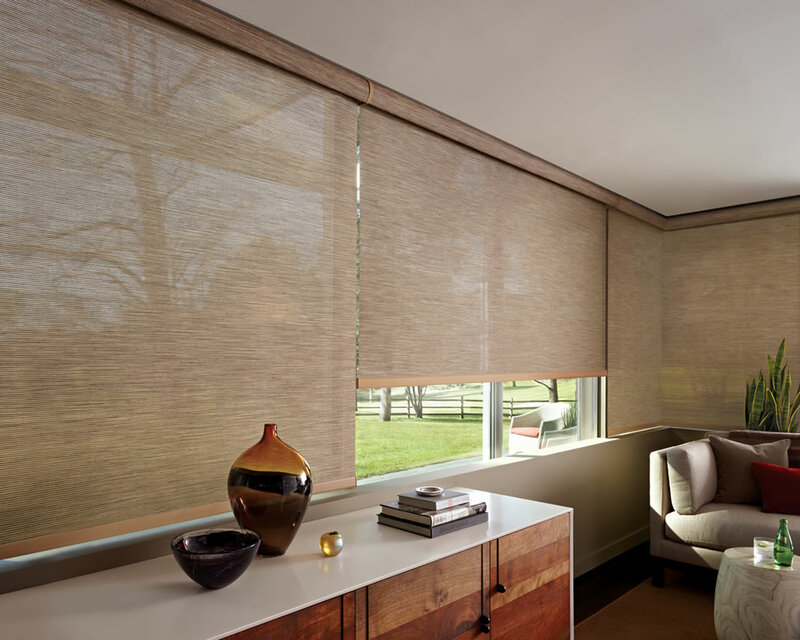 Offering a minimal yet sophisticated shade with light control, color and style - a perfect roller screen shade for your patio or sunroom.